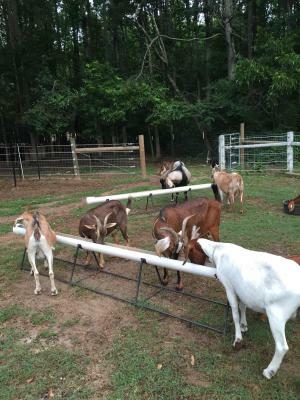 Billy Bad Goat Ranch is located in Anderson SC, we raise some of the best meat goat and breeding stock in the upstate. 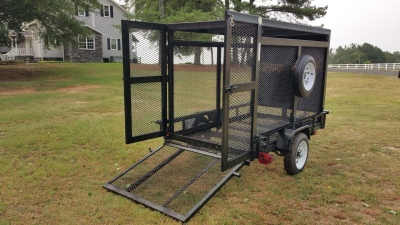 We also design and build custom made hay racks and goat feeders, to customers specifications. NEW ADDITION TENNESSE MEAT GOAT SIRES. We also have another location in Mcbee SC in the lower part of the state. All sires are registered Kiko and Tennesse meat goats. Our nannies are pure bred nubian, boer, alpine, and briar goat. All of our Kids are 50% Kiko and up. 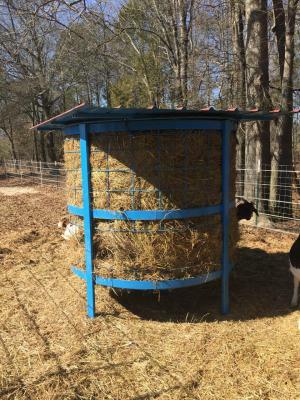 Hay rack is designed to hold round bales of hay, one round bale will feed 12 to 15 goats approx. 30 to 35 days. Feeding goats off of ground in a elevated feeder helps to cut down on parasites and helps to eliminate wasted feed. Built to customers specifications, will revolve both directions. Easy access for giving shots, worming and trimming hooves. 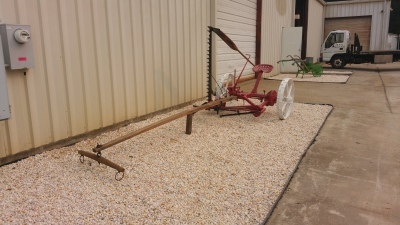 We restore farm equipment back to its original appearance. Trailers for hauling goats custom built to customers specification.